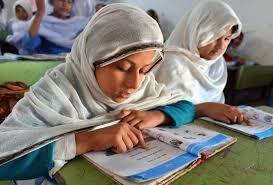 PESHAWAR: After the provincial capital, the Japanese government has gifted pink buses to Mardan district on Thursday. The pink buses meant exclusively for women will help women in traveling safely allowing them mobility and empowerment, said the United Nations Office for Project Services (UNOPS) director Samita Khawar at the inauguration of the project held at Khyber Pakhtunkhawa House Mardan. 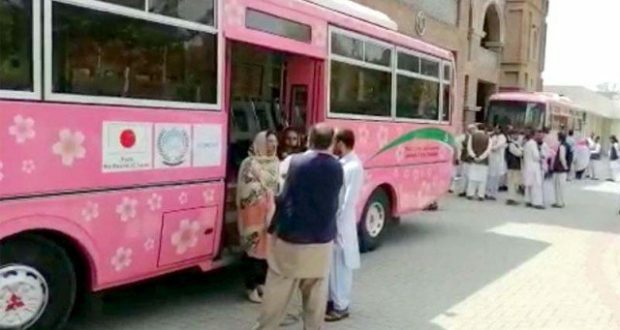 Pink buses are coming to Hazara division too, Samita told the ceremony attended by parliamentarians, district Nazim, district administration officials, and students and faculty of girls schools and colleges. 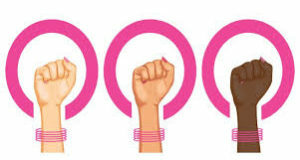 On the occasion the members of the gathering also shed light on the project and stated that this opportunity would provide safe and convenient transport to women. The district administration also appreciated the project. The government of K-P started the operation of the Sakura Women only Bus Service in Mardan, to provide safe and reliable public transportation for women. 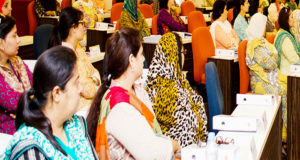 It was made possible through the financial assistance of the government of Japan and technical support from United Nations Office for Project Services (UNOPS) and UN Women Pakistan. Of the 14 buses, seven buses will operate in Mardan starting Thursday, through specific Sakura bus stops, for exclusive use by women and accompanying children. Seven more buses under the project will start operation in Abbottabad later this month. Despite being the cheapest and most accessible form of travel, women are reluctant to use public transport due to the widely reported incidents of harassment occurring on buses and at bus stops. In addition to providing these buses for women, UNOPS has constructed 16 bus stops in Mardan through which the buses will be operated. These separate bus stops will further ensure women’s safety. Speaking at the occasion Samita Khawar, Country Manager UNOPS Pakistan, thanked the government of Japan for the financial assistance and the government of K-P for ownership of the project. Since safety is the primary concern of women travelling alone, therefore through the support of UN Women Pakistan the buses have been equipped with a safety app which is connected to CCTV cameras installed in the buses.